The post Mobile Payments – How SMBs Can Stay Competitive appeared first on Kounta. PLAN YOUR STORE HOURS FOR THE HOLIDAYS. A common holiday tactic among big box stores? Extended holiday hours. Last year, for example, Kohl’s was open for 100 hours straight on the days leading up to Christmas Eve, and Toys “R” Us was open for 87 hours nonstop. Similarly, Macy’s, Best Buy, and Nordstrom extended their business hours during the last three weeks of December, with some stores opening as early as 7:00am and staying open as late as midnight. Should you follow in their footsteps? The best way to answer this question is to observe foot traffic patterns at your location. If you’re using an in-store analytics tool (e.g. people counters), pay attention to the times when customers are entering and leaving, then compare the data with the “regular” season (i.e. non-holiday). Doing so will help you figure out the times when you should open and close. If you don’t have people counters in your store, then just make it a point to be more observant. Do you see a bunch of customers waiting outside before you open your doors? Ask them how long they’ve been there, then consider moving your opening hours to that time. Are shoppers begging to stay when you’re about to close up? If so, then you should consider staying open until a later hour, at least during the holiday season. And don’t forget to track your sales during your extended holiday hours. Look at the numbers and determine if your revenues offset the costs of keeping your doors open for a little longer. If not, you may want to readjust your holiday business hours or find ways to increase sales. Whatever you decide, make sure you promote any changes in your hours to your customers with in-store signage, online promotions, and an email blast. The last-minute shoppers will thank you. The post Vend’s 2016 Holiday Retail Boot Camp Day 12: Engage Last-Minute Shoppers appeared first on Vend Retail Blog. When customers have already decided they want to buy from you, the last thing you want is to lose them at checkout. Unfortunately, many retailers seem to be dropping the ball when it comes to ringing up sales. Between long lines and associates having trouble with the POS, the checkout experience can be frustrating — and it can lead to shoppers abandoning their purchases. Prevent this by improving the checkout experience. Depending on your store, there are a number of ways to go about this. Some stores are replacing their slow cash registers with mobile POS systems that speed up checkout through functions like email receipts and mobile payments. Other retailers are taking things a step further by untethering their POS system altogether. This lets associates ring up purchases on the sales floor rather than from behind a cash desk. Home Depot has been implementing this for some time now, and it’s enabled the retailer to improve in-store checkout by allowing staff to ring up sales in aisles or even in the outdoor garden areas of their stores. The post Vend’s 2016 Holiday Retail Boot Camp Day 11: Streamline the Checkout Process appeared first on Vend Retail Blog. 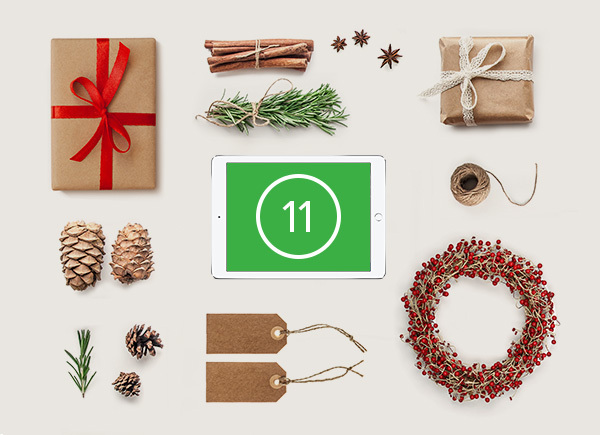 Speed is critical to converting last-minute customers, especially during the holidays. Remember, these shoppers are pressed for time and need to complete their purchases ASAP. They want to browse, shop, and pay with ease. That’s why you should remove any friction points that are slowing down the shopping experience, and ensure that shoppers can get their hands on products in the most convenient way possible. Set up the necessary signage, and arrange fixtures in a way that makes it simple to navigate your store. You want shoppers to quickly and easily find what they’re looking for when they’re in the shop. Clearly point out where people can find gifts for men, women, kids, etc. Train your employees to know where everything is so they’re prepared to help shoppers who need assistance. Instruct your staff to be diligent with cleaning and organizing your store. Have them move about the shop and be on the lookout for disorganized products or items that aren’t in their proper shelves, so they can tidy up immediately. The post Vend’s 2016 Holiday Retail Boot Camp Day 10: Remove Friction appeared first on Vend Retail Blog. RAISE THE BAR ON CUSTOMER SERVICE. Last-minute shoppers don’t just want to be served quickly; they want to be taken care of. They want you to help relieve their holiday stress so they can get what they need and enjoy the festivities. The best way to do this is to engage your employees. This holiday season, recognize that taking care of your customers starts with taking care of your staff. There are plenty of ways to do this. You can start by determining your store’s peak holiday hours and scheduling shifts so that there’s a healthy associate to customer ratio and none of your employees are overworked. You may also want to hire additional associates just in case. If you have the space and staffing resources for it (and if it makes sense for your business), why not offer gift-wrapping services? Your last-minute shoppers will thank you for it. Depending on your business, you can structure your gift-wrapping services in a number of ways. 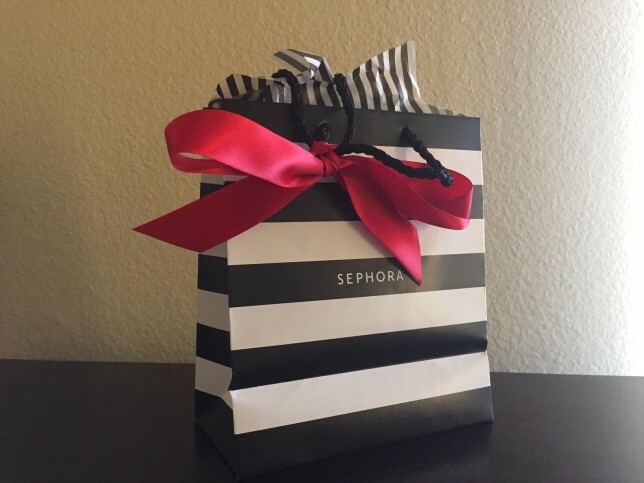 You can offer it for free to add value to purchases and to give people another reason to buy — or you can add certain conditions such as “free with every $50 purchase.” You can also offer gift wrapping as an upsell to increase order values. The post Vend’s 2016 Holiday Retail Boot Camp Day 9: Offer Convenient In-Store Services appeared first on Vend Retail Blog. RUN ATTRACTIVE (BUT STILL PROFITABLE) PROMOTIONS. Sales are rampant during this season, and while they’re undoubtedly effective in generating sales, you shouldn’t be tempted to offer discounts that eat up your profits. This holiday season, strive to be more strategic with your discounts. You can start by personalizing your promotions. 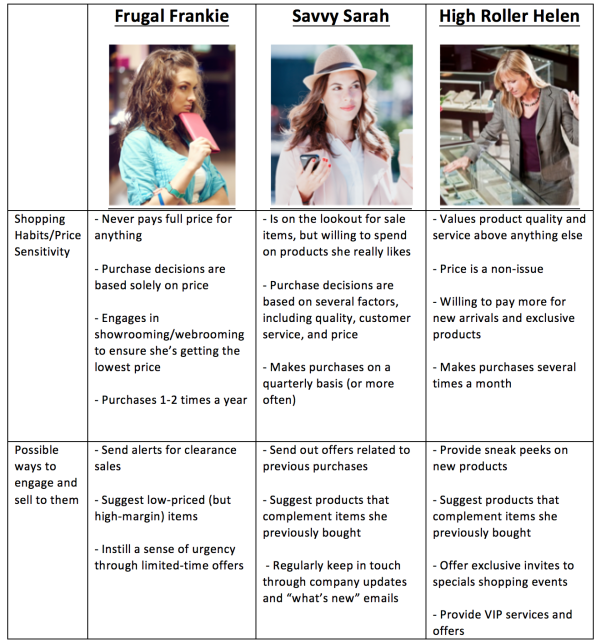 Segment your customers based on their price sensitivity and shopping habits, then offer discounts accordingly. Vend tip: Our customer management software makes it easy to build and manage customer lists, so you can view, sort, and group shoppers according to factors like purchase history, balance, and location. As we mentioned in our article about discounting in retail, carrying out creative pricing or sale strategies will allow you to entice customers without killing your profits or hurting your brand. You can, for instance, set spending thresholds on your promotions. Rather than just giving away free shipping, why not offer it once the customer spends a certain dollar amount? Another tactic would be to have exclusive sales reserved for your most loyal customers or top spenders. In some cases, you may not even have to “push” your discounts to customers. Have a look at what Express — an apparel retail chain — did when it revamped its promotional strategy. In late 2014 (and continuing to 2015), Express decided to hold fewer promotional events. It also relocated its sale items from the front of the store to the back. This move encouraged shoppers to check out their top-notch items first and allowed the retailer to get more people paying full-price without alienating those looking for deals. The post Vend’s 2016 Holiday Retail Boot Camp Day 8: Run the Right Sales and Promotions appeared first on Vend Retail Blog. Keep in mind that a large percentage of your visitors over the holidays are often not your ideal clientele. They’re the friends, families, and loved ones of your regular customers — and if you’re not making it easy for them to shop in your store, you’re losing easy sales. One way to make things easier? Gift guides. PGA TOUR Superstore is a great example of a retailer that creates relatable gift guides. They recognize that the people buying from them during gift-giving seasons aren’t necessarily golfers, so they’ve made it simple for these individuals to use their guides. According to Chief Marketing Officer Matt Corey, doing this has resulted in a lot of positive feedback from shoppers. One way to do this is to avoid using jargon or industry-specific terms in your gift guides, as you might end up confusing those outside your market. This tip is particularly helpful if you own a specialty retail store that’s frequented by hobbyists or aficionados. You can also tailor your displays to these shoppers with clear signage, bundling, or sales incentives. And if all else fails, make sure your staff are ready to remind these visitors that gift cards can be a great option for those who may be a little trickier to buy for. The post Vend’s 2016 Holiday Retail Boot Camp Day 7: Look Past Your Regular Customer appeared first on Vend Retail Blog. Managing your staff during the holidays can be trickier than normal. You likely have additional seasonal employees, a busier store than usual, and a laundry list of time-off requests. Here are five things we recommend retailers do to help manage staff during the holidays. This one is big. Do it as soon as possible. Make sure you have everyone’s time-off requests so you can plan for extra coverage at peak hours. Don’t forget to schedule staff breaks. It’s easy to get caught up with customers — and before you know it, no one’s eaten lunch! It’s also likely you’ll be extending your opening hours, so a roster that ensures your staff stay fresh is important. Customers will often stay in your store until the last minute, so see to it that you’ve scheduled enough time after your doors are closed to do a proper clean before the next day. HOST A PRE-HOLIDAY STAFF MEETING. Make sure your staff are prepared on product knowledge, store policies, and POS operations. Host an up-selling workshop, and ask your team to share their favorite product pairings and add-ons. Make the meeting fun and festive to get your team excited to hit the sales floor! SET UP A DAILY COMMS SHEET. You’ll be busy chatting with customers and manning the cash desk as shifts rotate, so put up a daily comms sheet in the backroom to let your staff know as soon as they come in about any special updates, store goals, shift schedules, break times, and coverage zones. Consider weekly contests with your team to boost their sales targets or customer info capture. This will help keep them motivated to go the extra mile. Vend pro tip: Use Vend’s intuitive reporting to help assess which products could use some love on the sales floor. Small treats like afternoon snacks or late night pizza go a long way toward keeping your staff happy and energized during the busiest time of year. 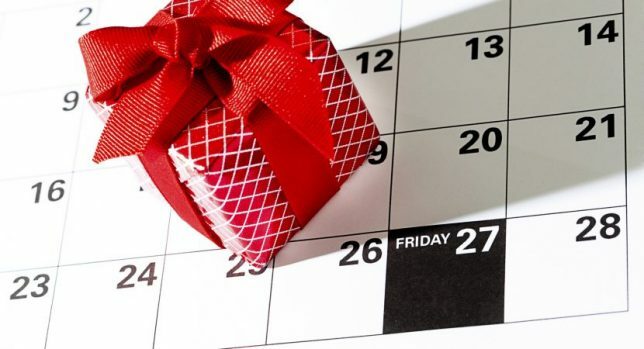 If your team is in the holiday spirit, they’ll pass that onto your customers. The post Vend’s 2016 Holiday Retail Boot Camp Day 6: Take Care of Your Staff appeared first on Vend Retail Blog. Yesterday we convinced you to start offering gift cards (if you weren’t already). For those of you who took our advice, here are a few ideas on giving customers that extra push they need to purchase gift cards from you. DISPLAY THEM FRONT AND CENTER. Display gift cards proudly in your stores to make sure customers actually see them. Put them on or near your checkout counter, or set up displays in the “gift” section of your shop as well as in any other high-traffic areas. Fortunately, pulling this off is both easy and inexpensive. A quick search on Amazon for “gift card displays” will return several ready-to-use racks, shelves, and holders you can put in your store. Prices range from less than $10 to around $60. MOTIVATE YOURSELF AND YOUR ASSOCIATES TO PROACTIVELY MARKET THEM IN-STORE. However, Kevin notes that retailers have to encourage gift cards more. “It should be part of your add-on strategy,” he added. You can, for instance, start mentioning gift cards at checkout, or suggest them to customers who haven’t made a purchase and are on their way out of the store. The bottom line is that retailers have to be more proactive with selling gift cards. Once you do that, he says, you’re going to get a bump in the gift cards you’re selling, and that all translates to more dollars for your store. Presentation is key when it comes to gift cards — and during the holiday season, how the cards are packaged can actually be a make-or-break factor in consumers’ purchase decisions. Remember that people are incredibly busy during this time of the year, so if you make the cards look presentable without any effort on their part, you’ll earn extra points in their book. SELL THEM AT DISCOUNTED RATES. REMIND PEOPLE JUST HOW CONVENIENT GIFT CARDS ARE. Sometimes, you don’t have to push aggressive offers or rewards to incentivize shoppers to buy gift cards. In certain situations, the convenience of gift cards is enticing enough. So don’t forget to remind customers about the inherent benefits of them. The post Vend’s 2016 Holiday Retail Boot Camp Day 5: Get the Most Out of Gift Cards appeared first on Vend Retail Blog. On top of that, people love giving and receiving gift cards. In 2014, the NRF found that “62 percent of shoppers said they would like to receive a gift card, making gift cards the most requested gift item eight years in a row.” They also ranked as the second most popular gift item during the season next to apparel, according to Deloitte. Gift cards are clearly a big boon for business, which is why you could be missing out on a lot of sales and customers if you aren’t offering them in your stores. Gift cards are a godsend for last-minute shoppers who don’t have time to cook up gift ideas, so stock up on them in the coming weeks. Help your customers out by displaying them at checkout and in other prominent parts of your store. And be sure to have your associates remind customers that you have gift cards in stock! The post Vend’s 2016 Holiday Retail Boot Camp Day 4: Sell Gift Cards appeared first on Vend Retail Blog.